Where would you like to be woken up in? Note your location here! "Wake me up in " sleep mask. 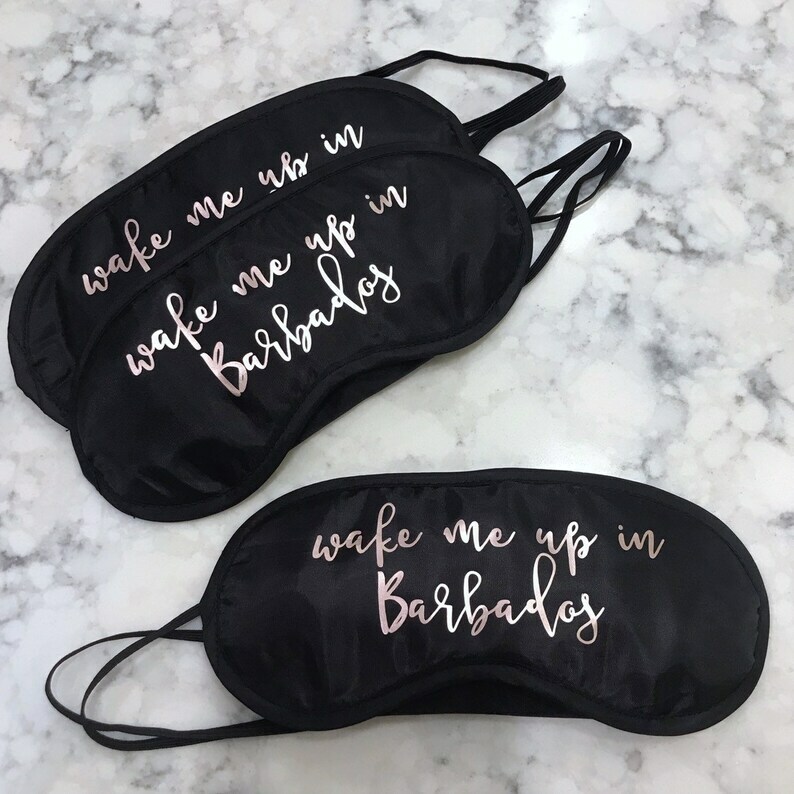 Great gift for a vacation, trip, bachelorette or birthday bash! 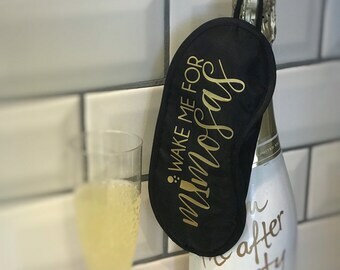 This sleep mask is OSFM with a double elastic back.